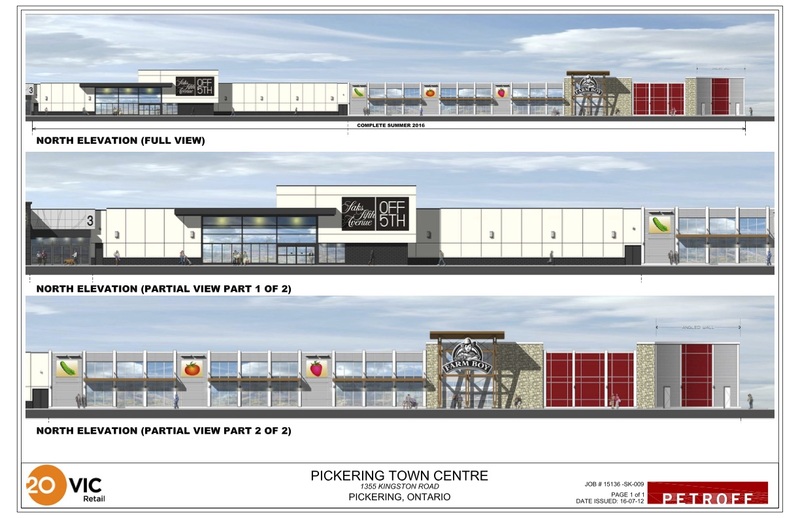 To completely reimagine Pickering Town Centre’s 140,000 sq ft west wing, formerly home to Target, in the face of strong competition from neighbouring shopping centers by leveraging partnerships with major retail brands exclusive to the area. The city’s largest enclosed shopping centre, Pickering Town Centre is located in the downtown core of Pickering, Ontario — a growing community situated close to Toronto. Anchored by Sears and Hudson’s Bay stores, the Centre is also home to several large format retailers and restaurants. The closure of Target Canada, a former anchor retailer, created an opportunity to redevelop the space with major retail brands not currently offered at competitive shopping locations. Three prominent retailers were secured, allowing us to evolve the West Wing of the Centre into a refreshed and exciting shopping destination. The ultimate in high-end, “thrill of the hunt” shopping, Saks Fifth Avenue OFF 5TH will offer customers a completely new retail experience. Its doors open Spring 2017. Opened in Fall 2016, Farm Boy provides fresh-market shopping not found at traditional grocers. The 25,000 sq ft store features farm-fresh, organic foods that are naturally-produced and locally sourced — as well as their popular store brands and wholesome prepared meals. 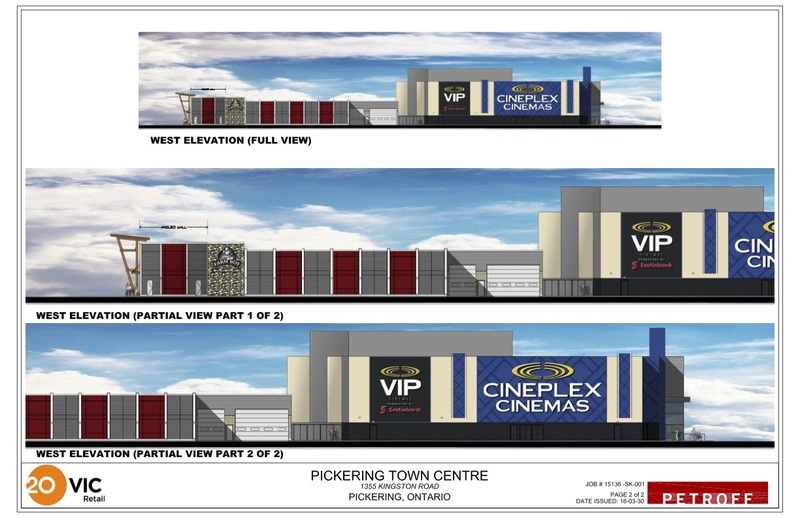 Replacing the existing Famous Players Cinemas, Cineplex Cinemas Pickering and VIP Theatres, opening Fall 2017, will introduce the VIP Cinema experience to the Pickering community. The new theatre will span 46,000 Sq. Ft. and host 12 screens, including four VIP Cinema auditoriums. Exclusive to Cineplex, these adults-only premium cinemas will feature a fully-licensed lounge and auditoriums with luxury seating. 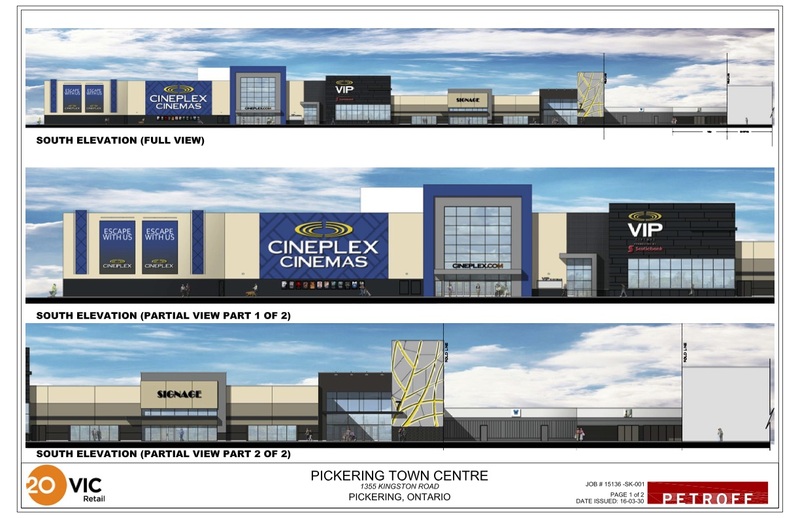 This dramatic redevelopment will enhance the Pickering Town Centre, creating a premium shopping experience unique to the marketplace.